Nowadays diabetes in of the most common disease in the world. Experts said that diabetes related to modern lifestyles and the increase of world welfare. Diabetes is a disease of blood sugar which until now can't totally cured. Therefore, for those of you who have a family history of diabetes should do preventive action early on, one of them is by consuming 5 foods that can prevent diabetes as follows. 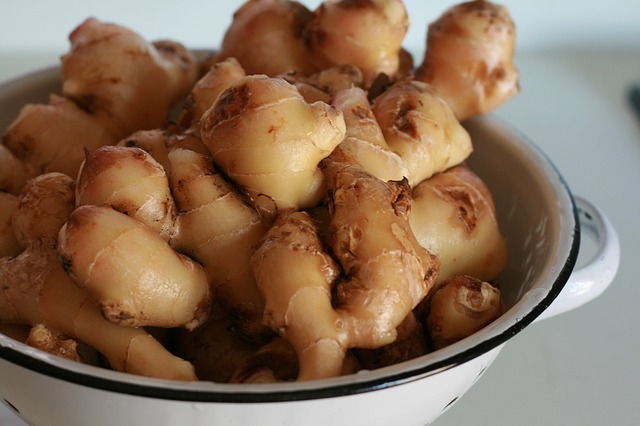 Ginger has benefits for the prevention of diabetes because ginger was able to increase insulin sensitivity in the body, insulin levels so high in the body that cause inflammation can be reduced. For those of you who love to consume Eggplant, when cooking Eggplant, you should include also the Peel. Because the skin of the Eggplant contained anthocyanins which is an anti oxidant compounds that were useful for lowering the risk of diabetes. The Apples fibers were able to control sugar levels in the blood. An apple every day can keeps you away from the doctor." Cultivated worldwide, this super fruit is high in fiber and vitamin C. These nutrition are mainly present in it's skin, so be sure to consume that part. If you consume 1 Apple per day can reduce the risk of diabetes. The omega 3 within the salmon could actually control glucose levels in the blood, but not Salmon, Tuna and some other seafood such as tuna are also great source of omega 3. Yoghurt countaining Vitamin D and calcium mineral which is effective to avoid and reduce the risk of diabetes, proteins content in yogurt may also keep your bodyweight is getting up. As know, obesity is one of the sources of diabetes problem. Brown rice is amazing food for diabetics, because it is not prepared with long procesess, so it rich with fiber, Vitamin B and anti oxidants. Peanut butter is a great food to avoid the diabetes. Peanut butter contain high protein compound as well as monounsaturated fatty acids. This compound could prevent blood sugar to rise since it can make you feel full for a relatively long time. So the threat of diabetes can be avoided because of the weight declining. That's some food you can taketo avoid diabetes thattriggered by your gene or other notable causes. Hope it useful for you.